It might be the height of summer on Savile Row, but further north, thoughts are turning to grouse shooting season, which begins August 12th, a date known as the Glorious 12th. This hotly-anticipated occasion in the game shooting calendar sees enthusiasts convene on the heathery moors of northern England and the Scottish Highlands, where guns – as those who take part are known – gather to shoot the red grouse, a bird native to Britain. The grouse flies low, at around 60 miles an hour, meaning that a successful shot requires the utmost skill and concentration. Indeed, those shooting and spectating are instructed to speak in hushed tones and dress in tonal colours, so that they don’t stand out on the moors. Birds are known to have turned at the sight of an inadvertent bright color worn by the disappointed gun from 300 yards up. 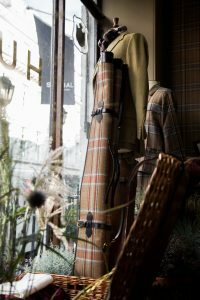 To celebrate the start of the season, Huntsman, befitting the house’s heritage in country pursuits, has recreated the scene of a shoot in the Scottish Highlands in its Savile Row window. 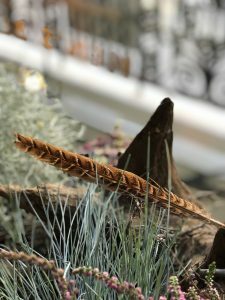 The backdrop is set with a carpet of heather, guns from Purdey, and pheasant feathers from our Chairman’s shoot, while the mannequins are clad in Huntsman’s distinguished shooting garments, following the tradition of taking their colours from nature. 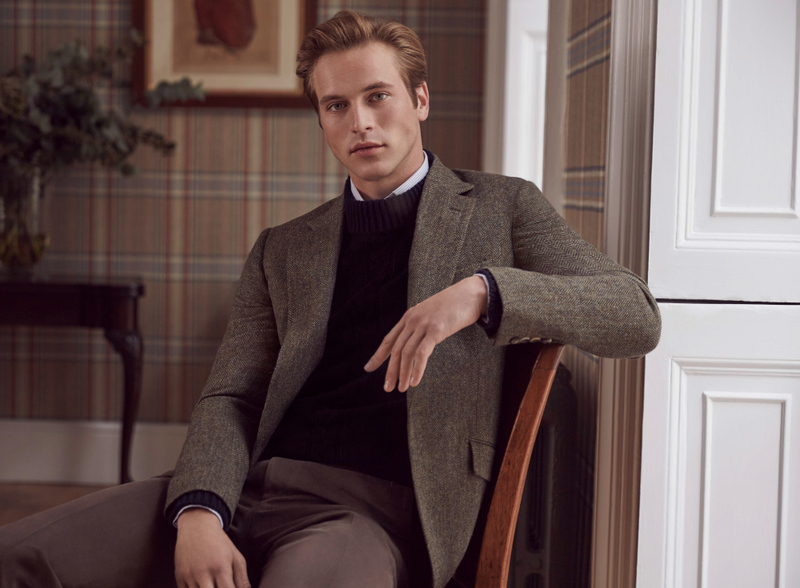 The tweeds are in tones of browns and grass green – with a touch of purple for the heather – designed to harmonise with the landscape, all the better to camouflage the wearer from the birds. 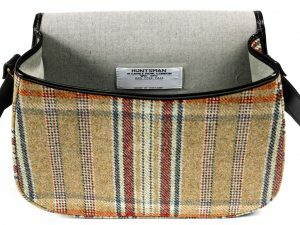 To complete the country scene, the display features Huntsman’s new, exquisite picnic basket. 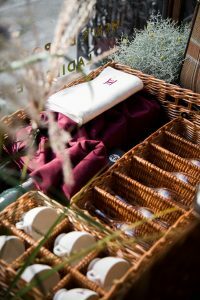 Click here to order your Huntsman picnic basket; an essential for any elegant 11’s. 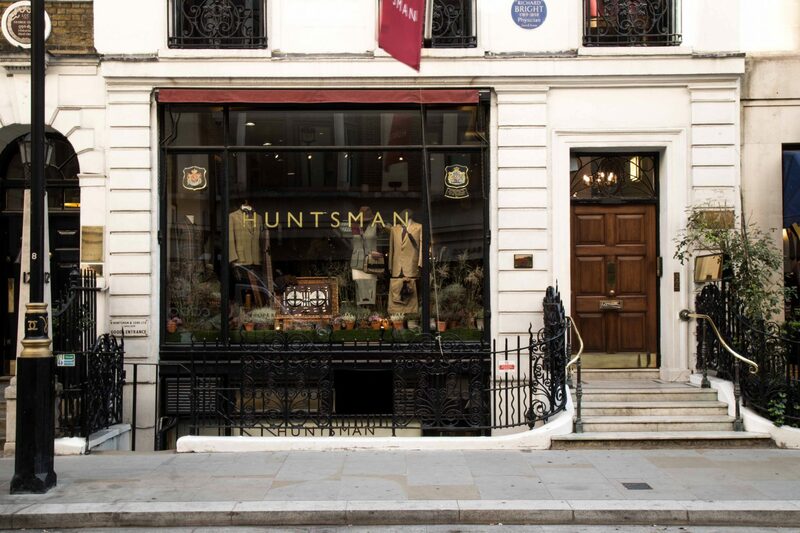 Huntsman’s window spotlights a summer temperatures light brown gabardine shooting suit – complete with jacket, waistcoat, and breeches – that belonged to Eric Clapton, along with a bespoke lady’s shooting garment – a relative rarity on Savile Row. 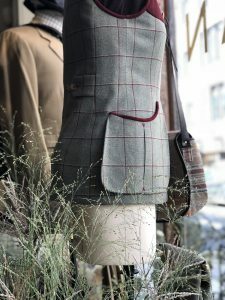 For ladies, there’s a three-piece shooting suit – cut to retain the elegance of a woman’s silhouette, whilst allowing for movement out in the field. 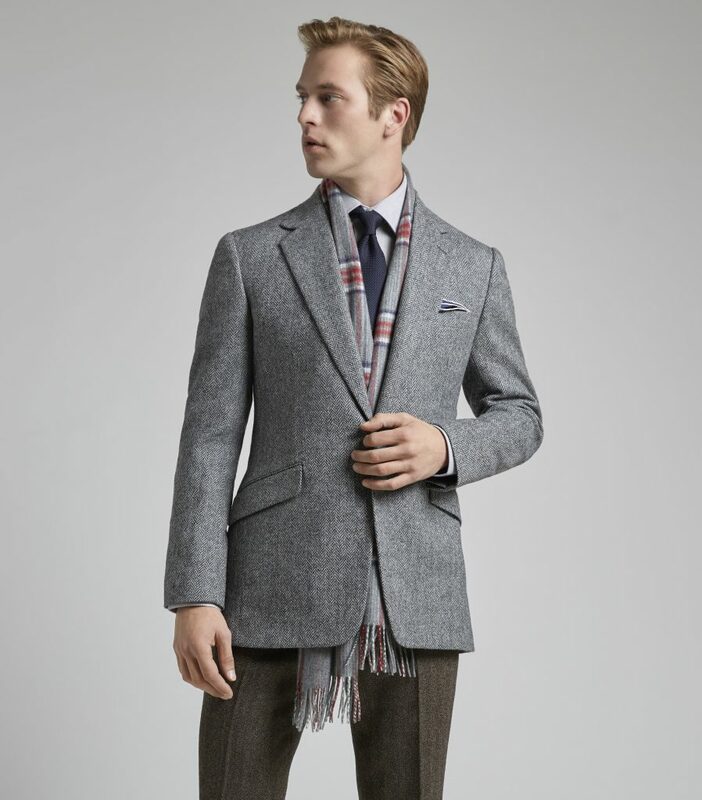 The suit’s jacket is cut with shooting pleats, a half belt at the back, and bellows pockets with a claret suede trim. 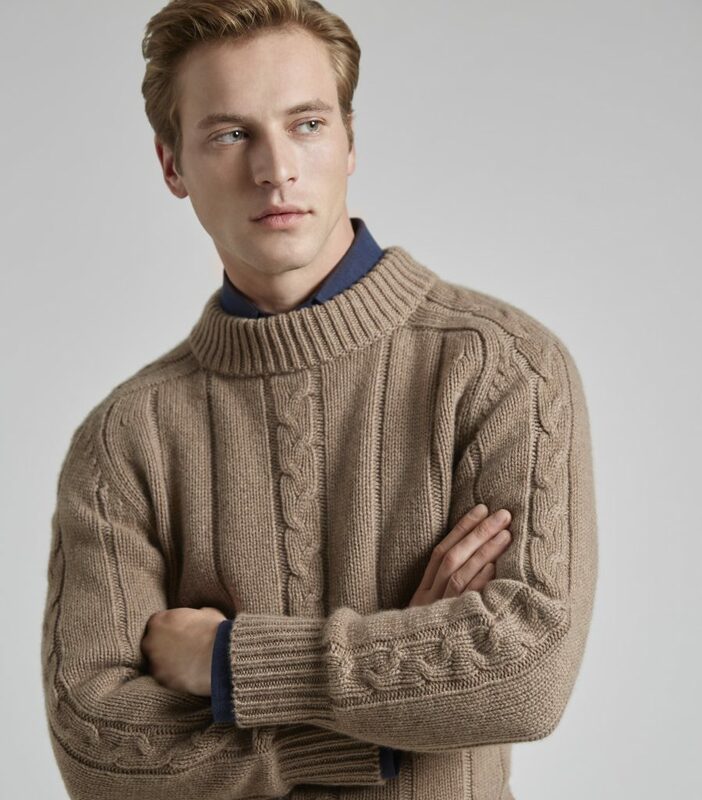 And in keeping with Huntsman’s signature cut, it has one button and a high arm hole. 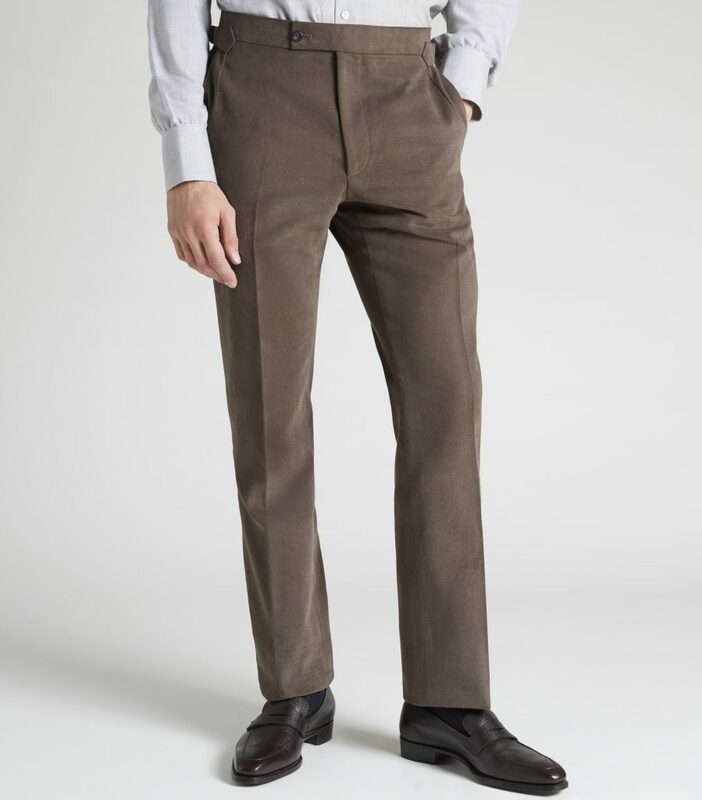 The plus two trousers are cut to flatter the figure, hugging the small of the back and draping over the seat and thigh. 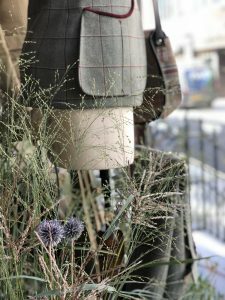 To discover more about crafting your own ladies’ shooting suit and to discuss your options with a Huntsman Client Manager, click here. 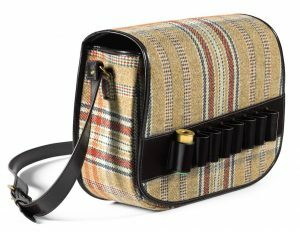 Huntsman is unveiling its tweed Shooting accessories- an all-important part of one’s gear. 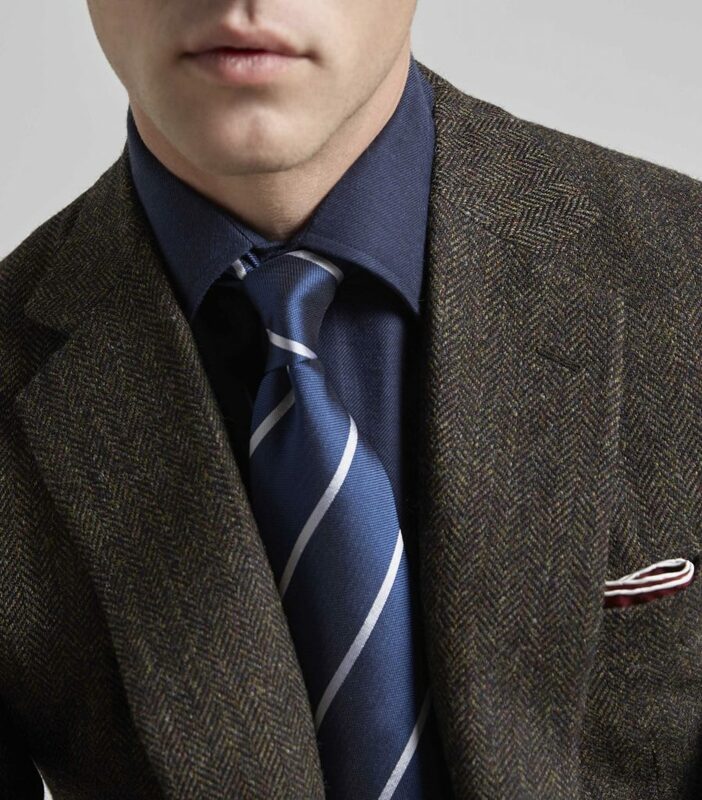 Proudly sporting our bespoke house tweeds, they are available to buy now. ready for the shooting season. 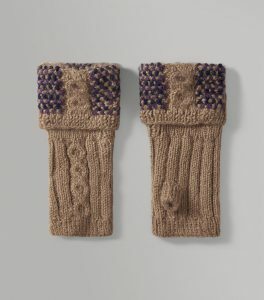 Pieces span from a tweed covered rifle slip, to a Peck tweed cartridge pouch. 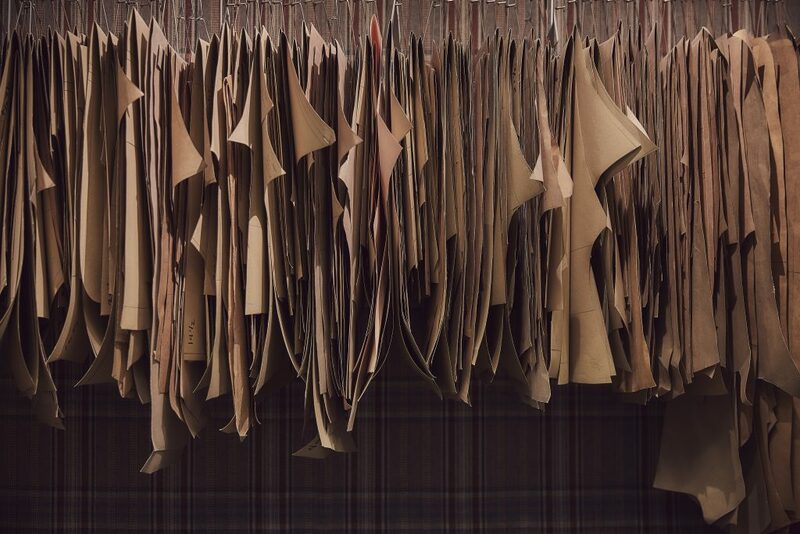 Which, if you so wish, are also available in any tweed that fits technical criteria, using our bespoke services. 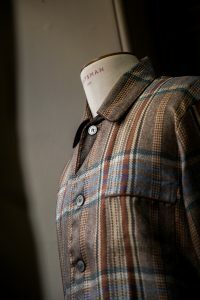 Click here to discuss your bespoke shooting accessories options with a Huntsman client manager. 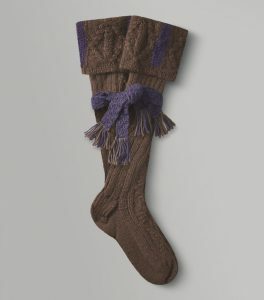 Also available in our ready-to- wear collection, is the Green Cawdor Tweed Flat Cap, that evokes the mossy tones of the grouse moors, through to alpaca wool shooting stockings with garters and trims– that protect the legs while wearing short breeches, and come in tones of olive green and slate grey – to alpaca shooting mittens, to guard the hands against the cold while shooting. Lastly, for bedtime, why not slip on one of our new house tweed printed silk pyjama, for dreaming of you or your partners on the fields? 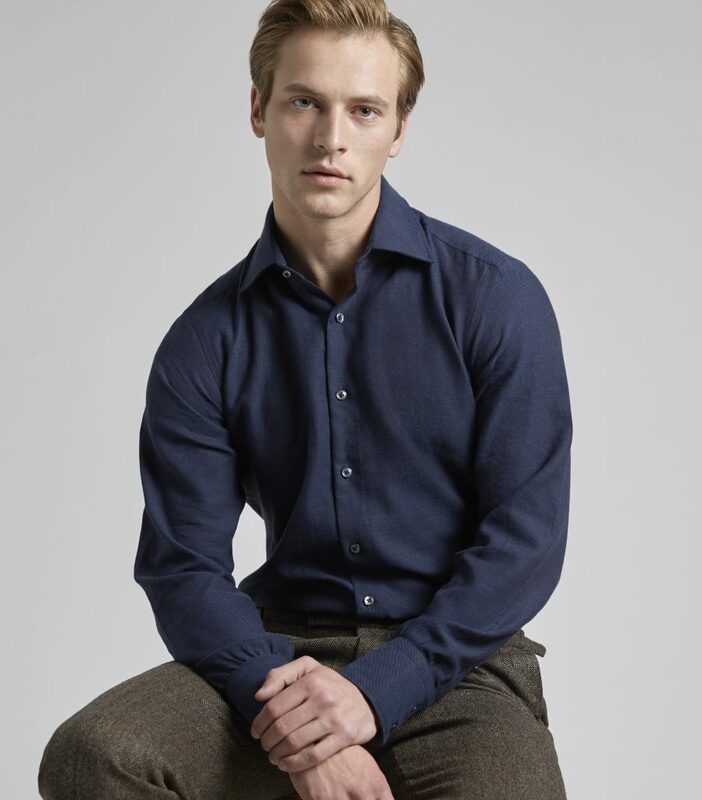 Click here to buy the Huntsman house tweed silk pyjamas. 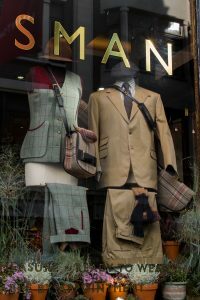 Pay a visit to Huntsman to pick your colours now, staking your claim as the most stylish gun on the moors, or just to talk shooting with our enthusiast client managers and cutters.